Rajinikanth’s Kabali has got a flying start at the box office worldwide. Even as mixed responses came in from the audience and critics alike, reviewers, Kabali is smashing box office records with its collections. The film’s shows are witnessing 90 percent occupancy in South India, and even Hindi shows have recorded over 50% occupancy on Kabali day two screening on Saturday. The movie has collected around Rs. 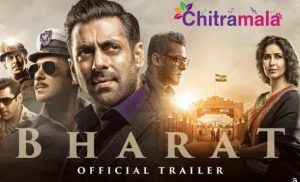 48 crores at the Indian box office despite mixed reviews and has now emerged as the highest grossing Indian film With its day one earnings of approximately Rs 48 crore, the film is looking at over Rs 120 crore weekend business. On Friday, the film made Rs 21.5 crore in Tamil Nadu alone. However, the film’s producer S Thanu left everyone shocked when he claimed Kabali has earned Rs 250 crore on Friday itself. A statement said the movie has earned Rs 100 crore from theaters in Tamil Nadu itself. “In India, the film has earned Rs 250 crore, which includes Rs 100 crore from Tamil Nadu and Rs 150 crore from places outside the state in India.”. In the US, where the film released on 400 screens, it has become Rajinikanth’s highest grosser ever. With these collections, Kabali has already broken Salman Khan’s Sultan and Aamir Khan’s PK record in the US. “#Kabali [Tamil+Telugu] sets new benchmarks in preview shows in USA-Canada… Takes an EPIC start on Thu: $ 1,925,379 [₹ 12.93 cr]. SUPERBBB,” Adarsh added.